Shameel Joosub, Vodacom group CEO. SA's number one mobile network operator, Vodacom, added 2.5 million customers in the quarter ended 30 June, while group service revenue grew 5.2%. The JSE-listed company this morning released a trading update for the quarter ended 30 June. Among the highlights for the quarter, Vodacom says group service revenue, excluding currency translation effects, was up 5.2%, reported up 4.2%. The group added 2.5 million customers during the quarter (1.5 million in SA and one million from international operations) to reach 76.5 million customers across the group, up 10.3% year-on-year. Group data revenue increased 9.9%, reported up 9.6%, while international data revenue, excluding currency translation effects, was up 14.7% and 11.3% reported. South African service revenue grew 4.9% to R13.8 billion, supported by improved customer revenue growth trends and customer gains, the mobile operator says, adding that international service revenue increased 4.1%, and adjusted growth was 12.4% to R4.3 billion. M-Pesa revenue growth, excluding currency translation effects, was 23.8%; reported 18.1%. 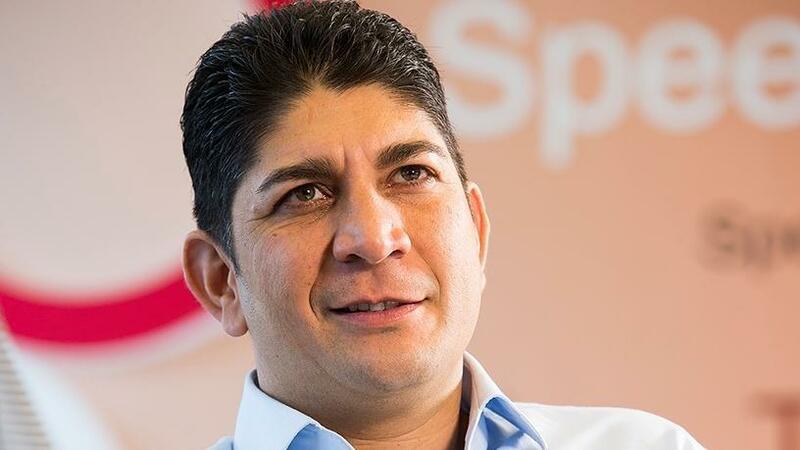 "The strong momentum from our annual results has carried Vodacom into a pleasing first quarter," says Shameel Joosub, Vodacom Group CEO. "Group revenue and service revenue increased 5% and 5.2% respectively. We were delighted to add 2.5 million customers over the quarter, reaching 76.5 million across the group (excluding Safaricom)." In South Africa, Joosub says, despite a tougher economic environment, Vodacom grew service revenue by 4.9%, supported by customer growth of 9.5%, to reach 43.1 million customers. "This was driven by our big data-led innovations, which contributed to robust demand for personalised bundles, offering customers better value for money." He adds the operator sold over 600 million bundles this quarter, resulting in an effective price reduction of 10% on voice minutes and 17% for data megabytes. "This is evidence of our commitment to lowering the cost to communicate. We have also launched some exciting consumer propositions, including our new Vodacom Ticket, which allows customers to save up to 50% on data for social media, video, music and gaming. Data revenue grew close to 10%, a pleasing performance off a bigger base, contributing more than 44% to service revenue." He adds that in the international operations, service revenue increased 12.4% to R4.3 billion, driven largely by M-Pesa and data adoption. M-Pesa continues to grow strongly and now has 12.7 million customers, excluding Safaricom, using this service, he notes. "We remain focused on network investment as a key competitive differentiator, expanding our 4G coverage to 81.5%, up from 75.9% a year ago." Looking ahead, Joosub says Vodacom expects the implementation of the ICASA End-user Subscriber Charter Regulations, in relation to out-of-bundle usage, to have a modest impact on data revenue growth. "We expect this to be mitigated in the short-term by continued uptake of data bundles and strong elasticity in demand for these services. We are encouraged by the improved performance in our International business. We will continue to strengthen our customer value proposition across all operations as a leading digital company." In SA, service revenue increased 4.9% to R13.8 billion, supported by the improvement in customer revenue growth trends, despite a subdued macro-economic and consumer spending environment, says Vodacom. Customers increased 9.5%, reaching 43.1 million, after adding 1.4 million prepaid customers and 75 000 net contract additions. It points out that prepaid customer revenue growth was good at 5.5%. This was supported by continued strong customer growth of 10%, which was slightly offset by lower average revenue per users (ARPUs) as it attracts new customers with lower spend levels, on average, than the current base. Locally, contract customer revenue growth has recovered from declines in previous quarters, to grow at 0.8%. According to Vodacom, the growth was supported by improved performance in the enterprise segment, reflecting customer and ARPU gains from recent contract sign-ups and improved usage. Overall contract customers increased by 5.9%. Contract ARPU declined 2.3%, an improvement in the trend from the last two quarters, as customers continue to grow into their "more data" contracts and benefits from higher value ARPU customers in enterprise. Voice revenue decline remained low at 2.6%, reflecting the success of its personalised voice bundle strategy through its "Just 4 You" platform while reducing the effective price per minute by 10%, the operator says. Data revenue grew 9.4% to R6.1 billion, contributing 44.1% (2018: 42.2%) of service revenue. "We continue to drive bundle engagement aggressively to ensure a worry-free experience for our customers," says Joosub. He explains that this pricing strategy has resulted in a 32.2% increase in data bundle sales and an overall effective price per MB reduction of 17.1%. "We continue to grow our current 4G data users, adding 739 000 4G customers in the quarter, reaching 8.1 million customers."